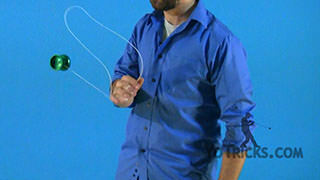 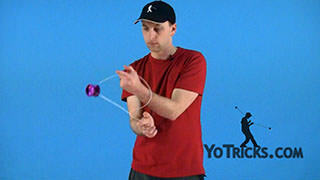 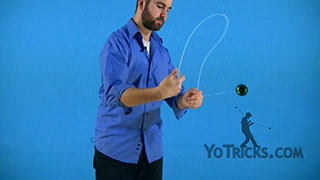 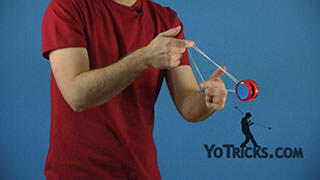 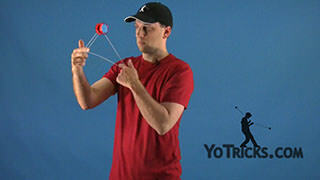 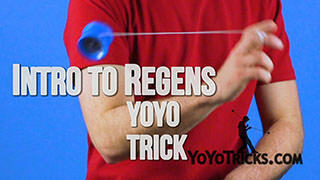 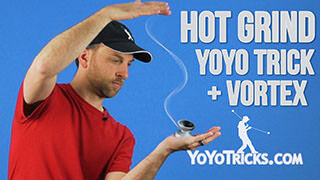 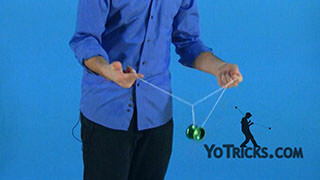 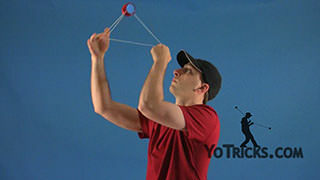 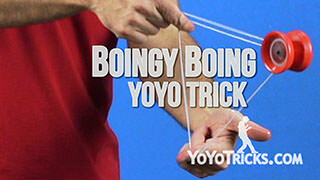 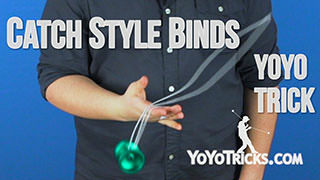 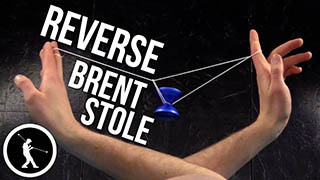 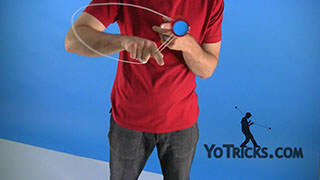 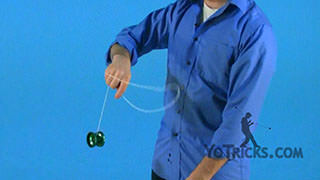 Learn the Mobius Maneuver for vertical and horizontal style yoyoing. 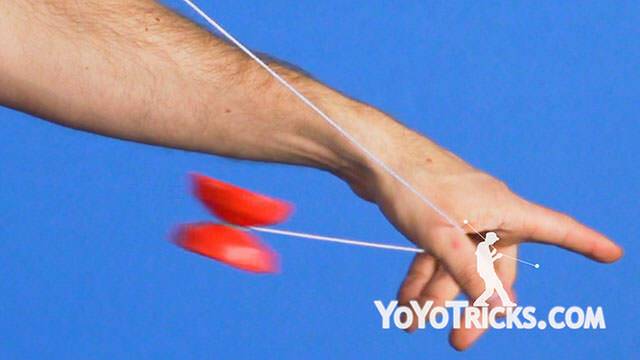 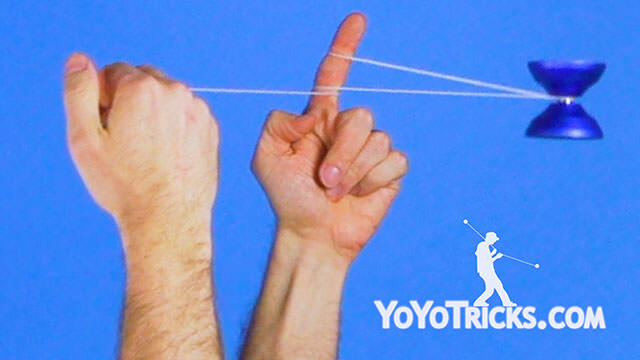 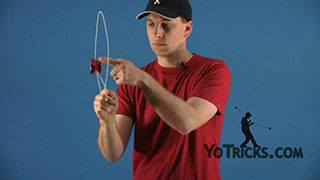 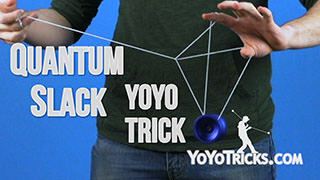 The Mobius Maneuver is not only a very flashy trick, but it is also a very useful trick because what it allows you to do is reverse the direction that the yoyo is traveling, without ever actually having to stop the yoyo. 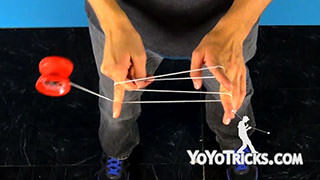 This is particularly valuable when you are trying to string together horizontal combos. 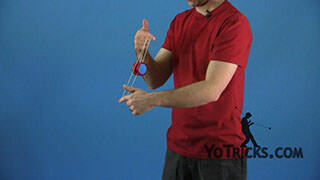 For instance, if I wanted to do Horizontal Skin the Gerbil, then follow it up with a Double or Nothing, you can see that I have to actually stop the yoyo mid air and swing it in the other direction. 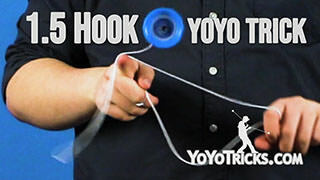 By the time I do that, the yoyo is already turning to my side. 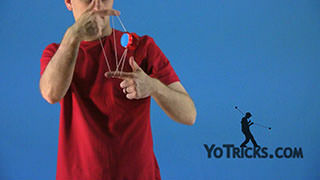 But what the Mobius Maneuver allows me to do is take those same two tricks, throw a Mobius Maneuver in the middle, and all of a sudden the tilt of the yoyo is much easier to control. 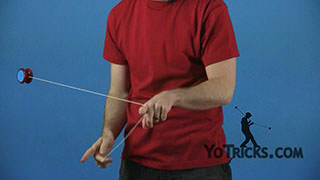 So, to learn the Mobius Maneuver, first we want to take a look at it vertically. 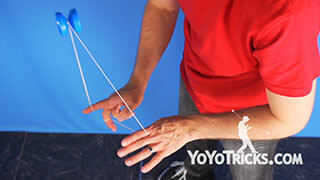 To do that I am going to throw a trapeze and land the yoyo on the string. 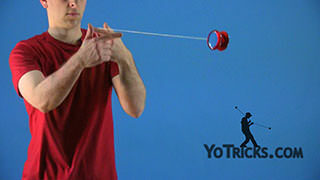 Then I want to roll the yoyo towards my throwhand side, making sure that the yoyo passes between my throwhand and my throw arm elbow. 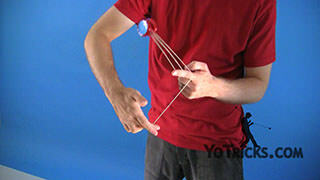 So you will see that it comes past the point where the string starts on my throwhand. 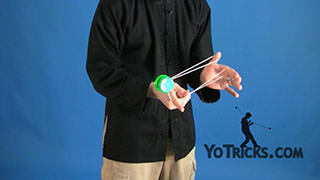 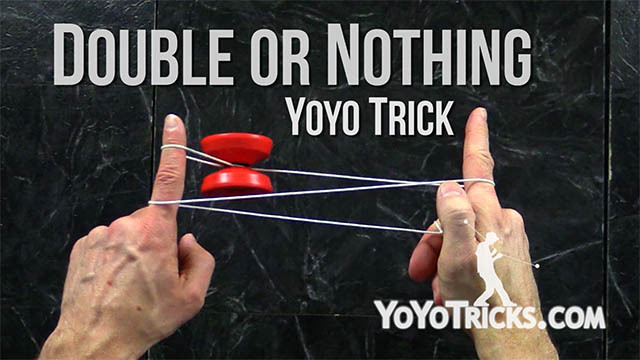 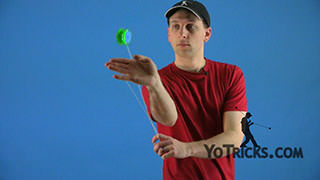 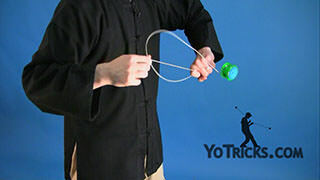 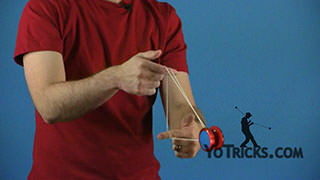 After the yoyo passes there, I can pull my non throwhand out toward my non throwhand side. 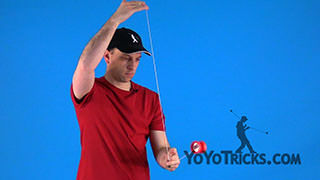 The yoyo is going to come right off the string. 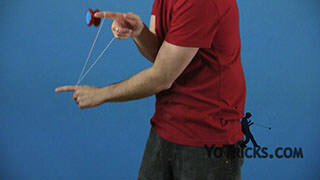 I can stick out my middle finger and the yoyo is naturally going to go into an undermount. 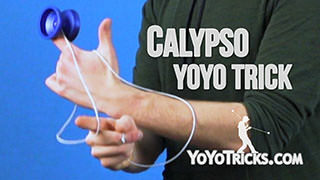 From here I can swing the yoyo underneath my throwhand. 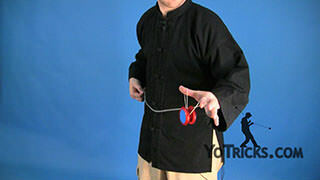 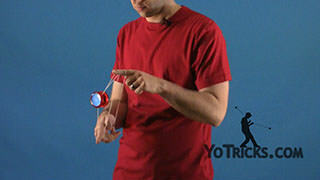 Then after the yoyo comes over my throwhand I can take my non throwhand and pull it out toward my non throwhand side. 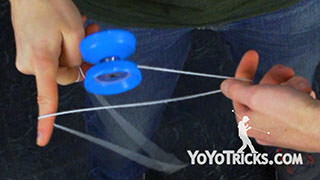 The yoyo is going to go right back into a trapeze. 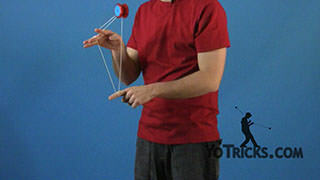 So you will notice that this is a repeater, and you can do it as many times as you want. 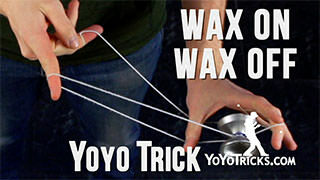 Before you start learning this trick horizontal, of course you are going to want to try and get it down as smooth and as fast as you can. 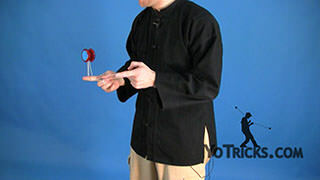 Once you have mastered it vertically, now it is time to take a look at it horizontally. 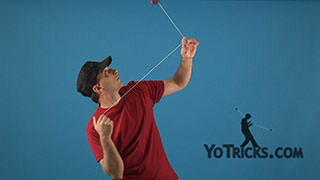 Really, the only tip that I have for you here is to make sure that the yoyo is always as close to your throwhand as possible. 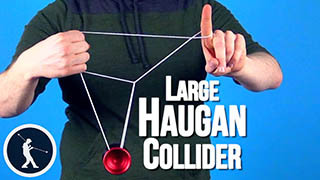 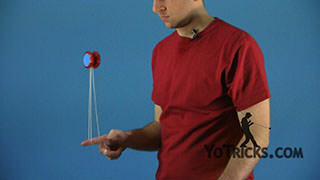 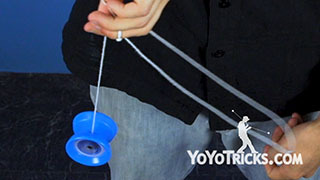 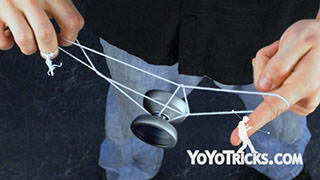 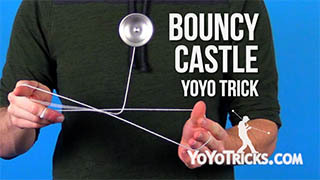 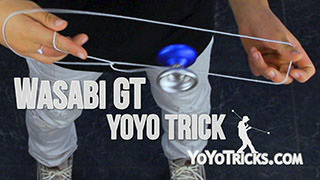 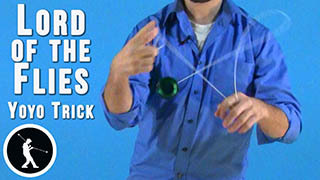 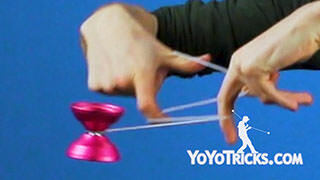 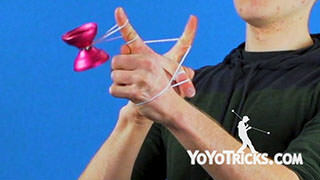 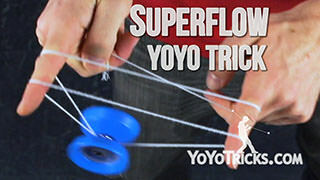 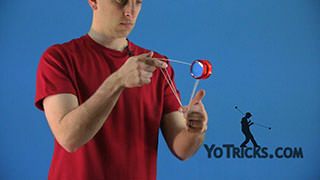 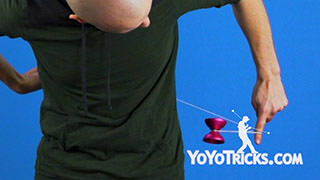 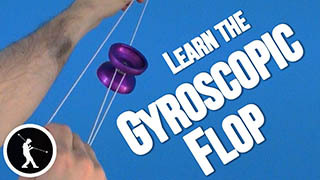 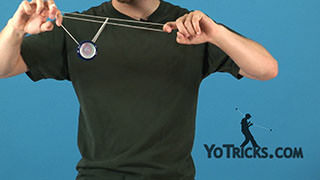 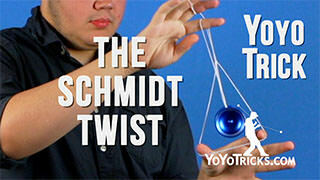 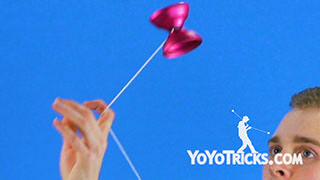 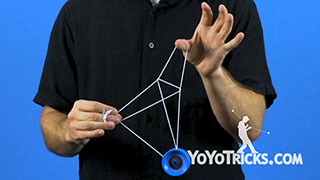 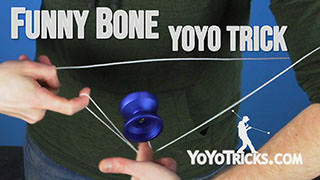 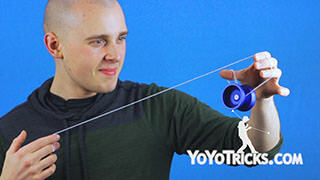 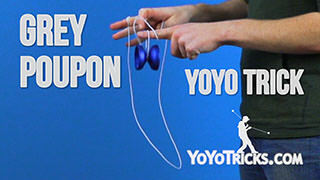 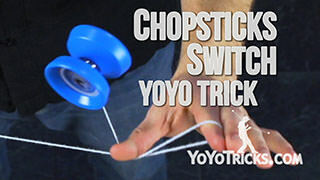 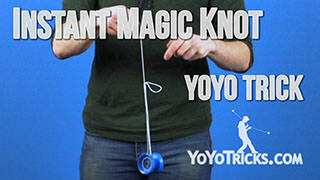 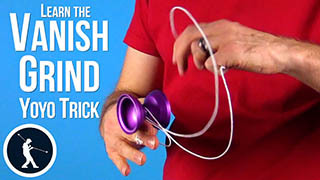 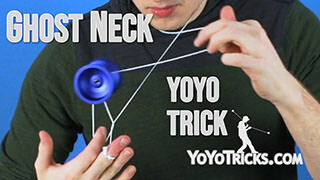 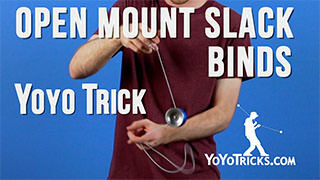 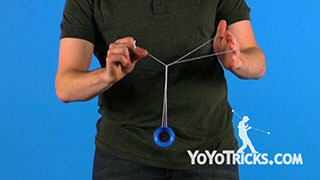 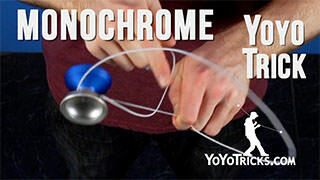 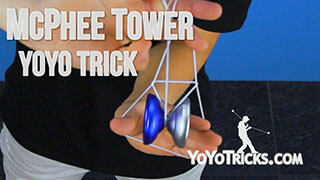 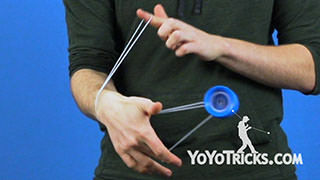 Because if it goes too far below your throwhand like that, the yoyo is going to start tilting and that is just no good. 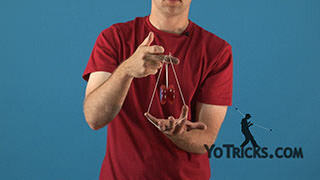 So always try to keep it right underneath your throwhand. 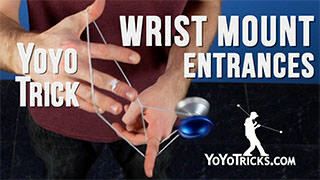 And that is the Mobius Maneuver.